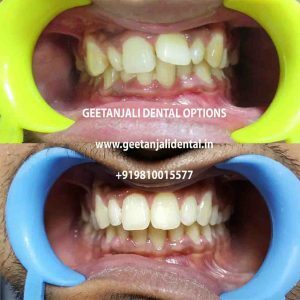 What are the types of Dental Braces Available at Geetanjali Dental Options? 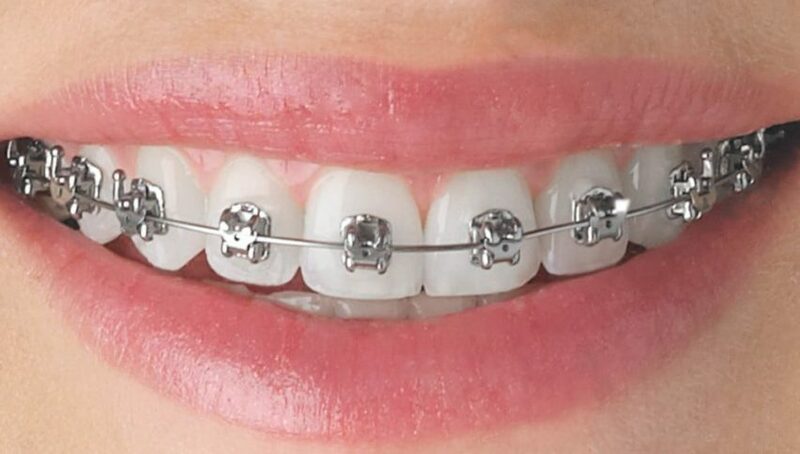 Why is there a need of Orthodontic treatment or Dental braces treatment ? It will Improve your Confidence in your smile. 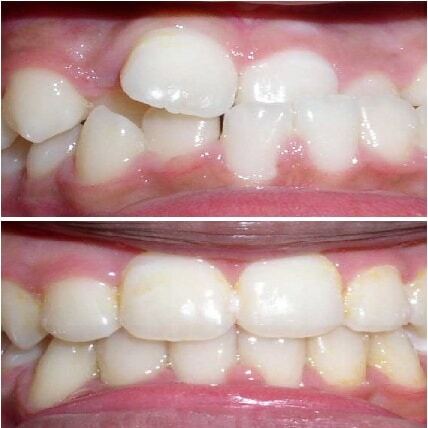 Improve cleaning of teeth as crooked teeth are more prone to get gum diseases and unnecessary cavities. 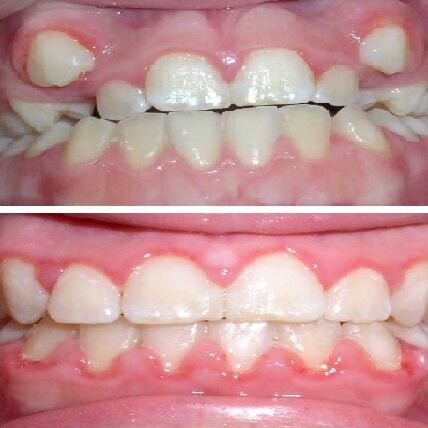 People with crooked teeth are more prone to tonsillitis. 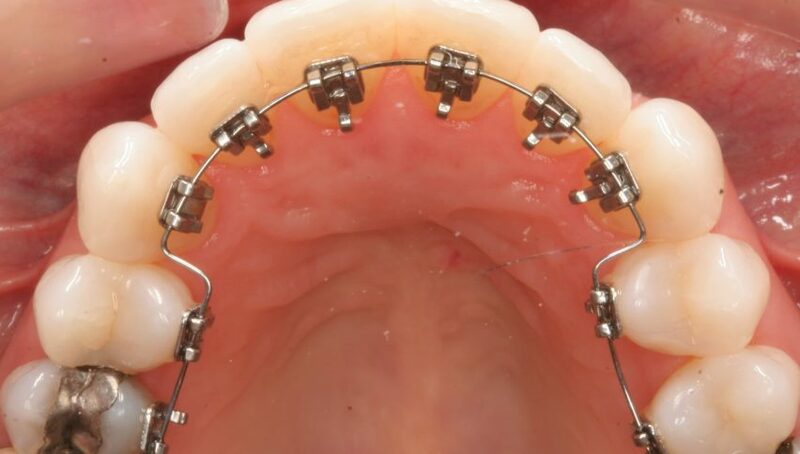 It varies from 6 months to 18 months depending upon complexity and developmental age of the patient. What is the right age for starting this treatment ? 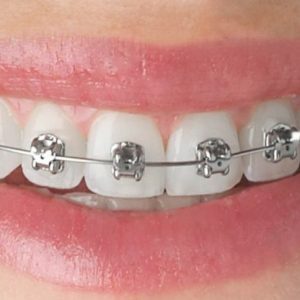 The correct age for braces treatment is between 12-14 years of age the child has all the permanent teeth fully erupted in mouth. 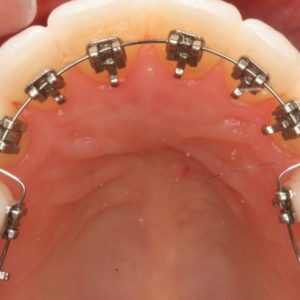 However if Dentist is consulted at an earlier age, it might be possible to avoid fixed braces at all. 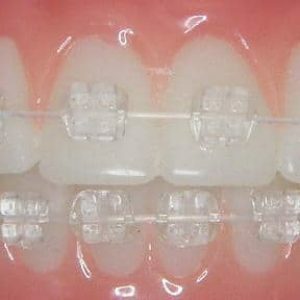 So the best orthodontic treatment time is when you see this problem or anticipate it.also braces treatment can also be initiated in adults also. Is this treatment only for children & adolescents ? 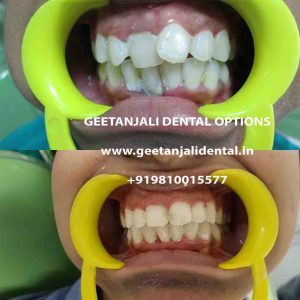 40 to 50% of our Cases treated at our clinic are adults.most of the people could not get ortho treatment at early age due to unawareness or financial reasons.there is no age limit provided teeth,gums ,underlying bone are in healty state to accept the treatment. 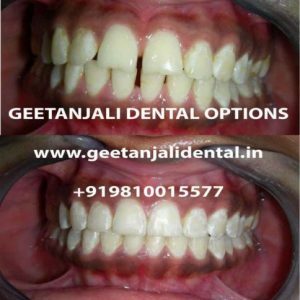 we have patients at age of 40 also who are taking orhodontic treatment at our clinic. Does this dental treatment make the teeth weak, loose or mobile ? 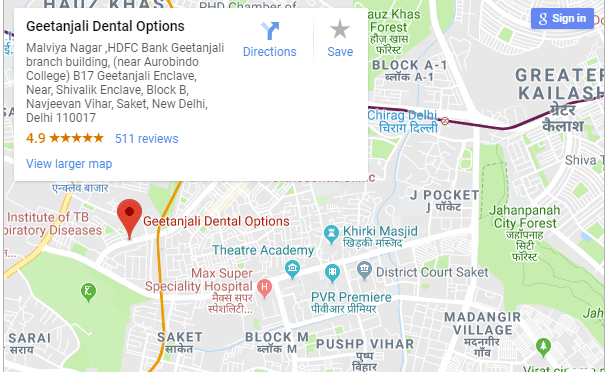 Does this dental treatment always need teeth removal / extraction ? Does this makes a person unattractive? Do the teeth jumble up after the removal of the braces ? The period of 6 to 9 months is very crucial for determining the success of the orthodontic treatment as teeth have the tendency to bounce back to original position ,but to counteract this problem patients need to wear retainers,if patient wear retainers as per the instructions then teeth never goes back to previous position. Geetanjali Dental Options is a premier Orthodontics treatment center in Delhi. We specialize in Orthodontic Braces, Invisible Braces, Cosmetic Braces and Lingual Braces..
Geetanjali Dental Options is located in one of the porsch area of south delhi(Best Orthodontist in south delhi) i.e Geetanjali enclave (Best Orthodontist in Geetanjali enclave) ,Malviya nagar,south delhi (Best Orthodontist in Malviya nagar) which is easily accessible from Shivalik (Best Orthodontist in shivalik),Saket(Best Orthodontist in saket),Mehrauli(Best Orthodontist in mehrauli),chattarpur(Best Orthodontist in chattarpur),Panchsheel Park(Best Orthodontist in panchsheel park),Panchsheel enclave(Best Orthodontist in panchsheel),Lado sarai(Best Orthodontist in lado sarai),Sarvodaya Enclave(Best Orthodontist in Sarvodaya enclave),Navjeevan Vihar(Best Orthodontist in Navjeevan vihar),Sainik Farm(Best Orthodontist in sainik farm),Pushp Vihar(Best Orthodontist in push vihar),sheikh sarai(Best Orthodontist in sheikh sarai),Savitri nagar(Best Orthodontist in Savitri Nagar),katwaria sarai(Best Orthodontist in katwaria sarai),Hauz Khas(Best Orthodontist in hauz khas),Safdarjung Enclave(Best Orthodontist in safdarjung enclave) and Green Park(Best Orthodontist in green park).